OPEN NORMAL HOURS. Why not spend your Bank Holiday monday touring the Church, visiting the Tapestry and interpretive centre – and then relax over a cup of tea or coffee in the Foodhall. 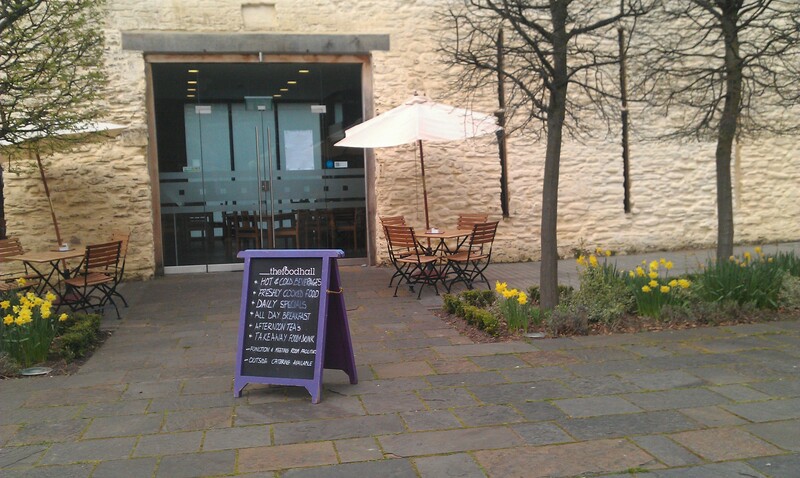 …the Tithe Barn Food Hall has started putting tables and chairs out in the Courtyard. Come and eat/drink al fresco!!! We welcome Newport Uskmouth Rotary Club for a visit this afternoon. They will have a buffet in the Tithe Barn Food Hall, before moving upstairs to see the display and the Tapestry. 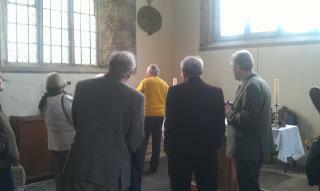 After a welcome by their former President, Fr Mark, they will be given a tour of the Church by Sir Trefor Morris. Many Rotary, Lions, Soroptomist and PROBUS Clubs along with WI branches visit us. If you are interested in arranging a visit speak to Tom Bond on 01873 858787 or email manger@stmarys-priory.org.